As promised, I’m sharing my best tips for sewing all machine binding onto your quilts. This is a great way to add binding that is fast, efficient and strong. And this means more time to start something new! Note: I’ve used a scrappy binding in most of the photos which means the fabric will change depending on the step. You’ll also see pictures from an entirely different project, but the technique is the same. Tip 1: Baste around the raw edges of your quilt top, within 1/4″ from the edge. I do this step before I start the quilting process, but it’s important that it’s done before you add the binding. This prevents any shifting around the edges and keeps those layers in place. I use my walking foot and a long stitch length. You can also hand baste this if you want, (but today we’re all about the machine). Tip 2: My binding strips are cut 2 1/4″ wide on the straight of grain. This width works for most quilts. Unless the edges are curved, I don’t feel the need to make bias binding. I join my binding strips with a diagonal seam and press the strips in half along the length (wrong sides together) to create a double-fold binding. Tip: 3: Use a walking foot to attach your binding. It just works better and feeds evenly. 1. Beginning on the back, start by stitching 8″ down from the beginning of the binding strip if you want to join your binding tails with a seam. You can also join the binding tails with the pocket method which starts off differently. Use about 1/4″ seam allowance. I find that a standard 1/4″ (not a scant) works best. You might want to test this out for yourself. Basically, you want to make sure that you’ll be covering your stitches when the binding is wrapped to the front. But you don’t want too much binding on the front because you might have some patchwork “points” that will get covered up (all that precision work down the drain). I like to adjust my needle position to the right so that I can use the edge of my walking foot as a guide. This takes a little testing, as I mentioned above, to get the seam allowance just right. (a) When you get to a corner, stop 1/4″ before (if your seam allowance is different, for instance 3/8″, then you should stop 3/8″ before) pivot, and stitch out to the corner. Clip your thread tails. (b) Rotate the quilt and fold the binding strip up and away from the corner. You should see a straight line from the binding to the quilt edge and a 45° line at the fold. (c) Fold the fabric back down onto itself so that there is a fold along the top that is even with the edge of the quilt. (d) Start stitching right at the top edge (at the fold). Continue until the next corner. 3. Join the binding tails. There are so many way of doing this step, and you might have a favorite method of your own. I’ll give a quick overview of how I do mine. It gives a nice seam and leaves a tight amount of binding to finish with. (a) When you get near the starting point, stop so that you have a good 12″-18″ of open area. (b) Fold both tails back so there is a scant 1/4″ gap between them. (c) Cut one of the tails on the fold. Save this piece of binding for the next step. (d) Take the scrap of binding from above and use it to measure the cut for the other binding tail. Cut this side of the “tail” the width of the binding. Change of sample pictures – they show a better picture…. (d) Face the tails to each other and unfold them (as if they were meeting each other for the first time). (e) Pivot the tail on the right a quarter turn. (f) Flip the tail on the right on top of the tail on the left, right sides together. (g) Draw a diagonal stitching line (or you could make a crease) and stitch. (h) Check to make sure it fits and nothing got twisted. (i) Trim the seam allowance to 1/4″ and finger press open. (j) Continue sewing the binding in place until complete. Tip 5: Press the binding out from the edge of the quilt. This will help wrap it around to the front. Tip 6: Mitering the corner on the front requires some “fiddling” to get it just right. Start by folding the right side of the binding to the front and finger press the angle from the corner. It will naturally drop down that way. Bring the other side of the binding over to form the mitered corner. Play with it until you get an even corner. Pin in place. Tip 7: Load thread on top to match the binding. Load the bobbin with thread to match the backing. This will reduce the visibility of stitches on both sides. Tip 8: From the front side, stitch as close to the folded edge of the binding as possible (using a walking foot). I adjust my needle position so that the inside edge of the walking foot acts as a guide. If you stitch too far away from the folded edge, you’ll form a “lip” that tends to announce itself a little too loudly. This will also ensure that your stitching does not fall onto the binding from the back side. My stitch length is 2.5. Some people use a decorative stitch for this step. I haven’t ventured into that place yet. Tip 9: Use a stiletto to hold the binding down in front of the needle. You could also use a seam ripper (but be careful) or a strong pin. This helps to guide your stitching and keeps everything in place. And those Clover Wonder Clips are the best! I think they have found their true purpose in life. Tip 10: Pay attention when stitching the corners. I keep the pin in place until the last minute, and I stitch just past the mitered fold. Stop with the needle down and pivot. Reposition the needle over to the left just a bit so you’re at the edge of the next folded side. Essentially, you’re creating an extra stitch at the corner. Tip 11: Use assorted fabric strips from your quilt and make your binding scrappy! I do enjoy a good, scrappy binding. Tip 12: Admire your binding and your finished quilt! I love the satisfaction of finishing a quilt. I still like to sew binding on by hand once in a while, but with the demand of my schedule, I find that I’m usually going for the all machine binding method. Sewing Patchwork made by Julie Cefalu and quilted by Audrey Crawford. Pattern by Fig Tree & Co.
Sewing Patchwork made by Julie Cefalu. Pattern by Fig Tree & Co. Thank you so much for visiting today! Happy binding! Oh Julie…your pictures and description on connecting the binding at the end are so wonderful. That is where I screw it up every time…just cannot “see” how it is supposed to go together. Now I will be able to. A complete answer to prayer! Thank you so much! Happy New Year! Thank you sew sew foryour excellant graphic tips on binding. These are the best and most graphic results I have ever seen. I already do most of what you are suggesting.. but I was looking forward to doing decorative stitching with a walking foot as a topstitch on my quilt binding. You are little bit limited on the stitches because of the walming foot as you want the stitch to be completed in mostly a forward motion. I’m going to be using a livhtweight #60 Bottomline thread in the bobbin and probably a #12, #20, or #30 weight topside, depending on the pattern I pick.. the simplier I go, the heavier weight I can choose. I try to push myself with each quilt by doing several processes that I have never done before.. this keeps this “old Bird – 70 yrs old) learning.. I will definately return to read more on your site. Thank you for gousite.. well done!!.. Made my first quilt 35 years ag o while taking a quilting class. Was all done by hand.. no machines..was a sampler quilt which I made for my Mom which I inherated after she died at 94. The glass was extensive and had us make all our own templates. It was a remarkable class. But I didn’t quilt again for 25 years for many reasons. In the last ten years I have made 12_quilts.. and I absolutely love quilting. I have yet to make one for myself. I keep saying..maybe the next one.. Again thank you. Wow Julie thank you so much! I bound two quilts in two afternoons and they turned out beautifully. Even my husband was amazed. I had been putting it off and thought I’ll just try Julie’s method. What a great tutorial! when sewing the edge of the quilt before putting on binding you can use fusible thread the bobbin then you can iron the binding down on the front and it will stay in place while sewing it down. I have been doing my bindings this exact same way for a few years now, & I really like the way they turn out. When I almost get to the corners on the back, I will fold my binding up as if I was going to make the miter and finger press in a crease, this crease is where I’ll stop my needle and then pivot out & finish sewing to the corner. So no matter what size of seam I am sewing on the binding back I do not have to measure my distance to stop. Julie, Thank you for the GREAT tutorial. I do my bindings from the back also, but I use a decorative stitch, that looks the same on front and back. This is pretty and puts more thread on the area of the quilt that gets the most wear. Yes, I use your method exactly and teach it to others. For anyone intimidated by the precision of the final stitching on the right side of the quilt, try making 2 color binding, also called flange binding. There are videos and instructions on the web for this. You end up with a main binding color and a narrow piping color which not only provides a unique flair to the quilt, but also gives a place to stitch in the ditch between the 2 colors so the stitching line disappears on the quilt front. It’s a little more work making and joining the 2 colors for the binding, but the effect and ease of application make it worthwhile. Thank you, Julie! I recently made a table runner and stitched the binding by machine due to a deadline. However, I stitched the binding on from the front and then stitched down right next to the seam. Mostly it was ok but not so much in some places. Next time I use the all machine method, I will try yours as it looks so nice. Thanks for sharing your talent and for the clear instructions! Thank you for your great tips. Excellent tutorial. This is how I prefer to bind for I think it holds up better. Just one silly comment. I had to c&p the picture with the print fabric so I could rotate it to read it, couldn’t stand it had to know all the words. Thanks Julie, great tutorial! So much faster. But I have a question, why you do the back first? Any specific reason or can be done either way? Hi Lady, that’s a great question. I’ve done it both ways, but I like the look of starting on the back better. The front shows even stitching right next to the edge of the binding and the back shows up as an extra line of quilting along the edge of the binding. This quilting line isn’t always straight and parallel to the binding seam, so I would rather that be on the back and not the front. I hope that makes sense. Great tutorial! I use a similar method for machine sewing on the binding. I tend to use glue stick or a tiny but of elmers to hold down the binding as I sew it to the front (or back depending on my mood). Thanks Julie, for the wonderful tutorial on binding….something I really needed and will keep forever!! Is this available in print, best binding tutorial ever. Love painting with watercolor but also love the color and designs of textiles, so trying my hand at machine sewing which I haven’t done in years. Excited, especially when I find someone like you with tried and true tips, who is willing to share. Your quilting is so beautiful. Now all I need is to find that pot of gold to buy paints AND fabrics!!! I also have started sewing the binding on the back and pulling it to the front, but I have never basted my edges, I must try that. Thank you. Thank you ever so much for your binding tips and loads of photos. You really gave us over the top tips here. This was the best tutorial for machine binding I have seen. As always, thank you for another excellent idea. I enjoy all of your projects. I used your method on a few quilts and even though I need more practice, I’m very pleased with the results. Thanks for the tute. Excellent tutorial Julie, thank you! 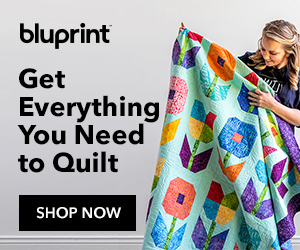 I’ve been practicing this on my last few quilts. Excellent tutorial Julie, thank you! Thank you for such detailed instructions and great photos. Your technique will be a big time saver – I look forward to trying this method to finish my next quilt. You always do a great job teaching. My only suggestion is to try out Edyta Sitar’s single fold bindings which reduce bulk in miter corners and see if you like it better esp. for small projects. Yes! Yay for machine binding! I do my binding very similar to yours but instead of sewing a basting stitch along the edge I serge the edge. (I love using my serger). I use the 1/4 inch setting which most sergers have and I use the highest stitch length. The added thread under the binding creates a nice firm binding. I also use decorative stitching when sewing the front edge. Great tutorial and very informative. Wow, Julie, pretty fabulous tutorial. And, much needed. Thanks so much. I did my first machine binding just before Christmas. I probably will never do one by hand again. I like the tip of stitching a quarter of an inch before attaching the binding on the back of the back of the quilt. I will try that next time. What a time saver! I’m anxious to try your binding method. Also, have purchased so many different binding joining tools but my brain does not let me figure out how to use them. 🙁 Hopefully your directions will work for me when it’s time to join the endings. Thanks Julie! Pinned it right away for a quick and easy reference. Your tutorials are always the best. Thanks for taking the time! Thank you! Thank you! I haven’t used this method before, but it looks much simpler than the way I’ve been doing binding! First, I spray 2 1/4 inch straight of grain binding with spray starch to hold the right sides of the binding together to prevent any shifting. I so sew the quilt inside the quarter inch seam line to hold those layers together. I stitch the binding on from the front using a quarter inch seam. I use water soluble glue to glue baste the binding to the back, folding it just over the thread line I’ve sewn. Then I sew a decorative stitch from the front that has some straight stitches along the seam line. It’s a great way to use variegated thread and decorative stitches, but check the tension on a practice piece first. Many, many thanks for your very comprehensive tutorial on binding ending on the front. It’s clearly explained and you’ve gone to a lot of trouble with the illustrations, but it’s fantastic, thanks again!